Here at Emotion Studios, we pride ourselves on the quality of our products and have searched far and wide to source the very best for our customers. 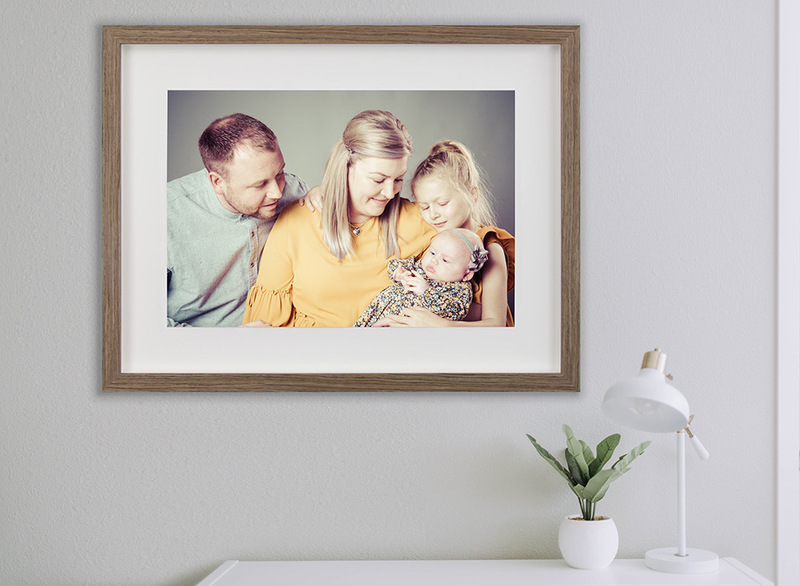 Whether you choose prints, bespoke frames or digital images, you can feel secure in the knowledge that you have chosen the very best - something to be proud of. Not just a photograph, but an investment. A memory, captured and preserved to be cherished forever and passed down through your family. Individual Art Prints are great on their own or as an add-on to other orders. Available in colour or black and white, they are printed in a satin finish by our professional lab and presented in a strut mount to be displayed as they are, added to an album or framed by you. 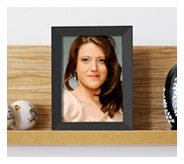 Our desk portraits make wonderful presents for friends and family and are perfect for shelves and mantles. They are available in several sizes and also have a multi-aperture option. Our gallery quality frame moldings come with a lifetime guarantee and are bespoke made for each client. The glass used is highly superior, offering fantastic UV protection. With a superb range of frames and sizes, you're bound to find something for your taste. We advise you measure up and have a think what colours and textures would compliment your interior so that you can easily choose from our range. Canvases give maximum impact to a wall. 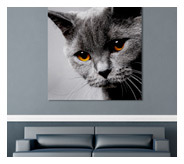 Our canvases are made from high quality frames and coated in a UV protective varnish to seal and protect. Framed canvas options also available for extra elegance. Available in all the same options as the wall portraits, these multi-aperture wall frames give you the luxury of several pictures in a single frame. Multi-picture mounts can be designed and arranged to suit you. Love more than one image? 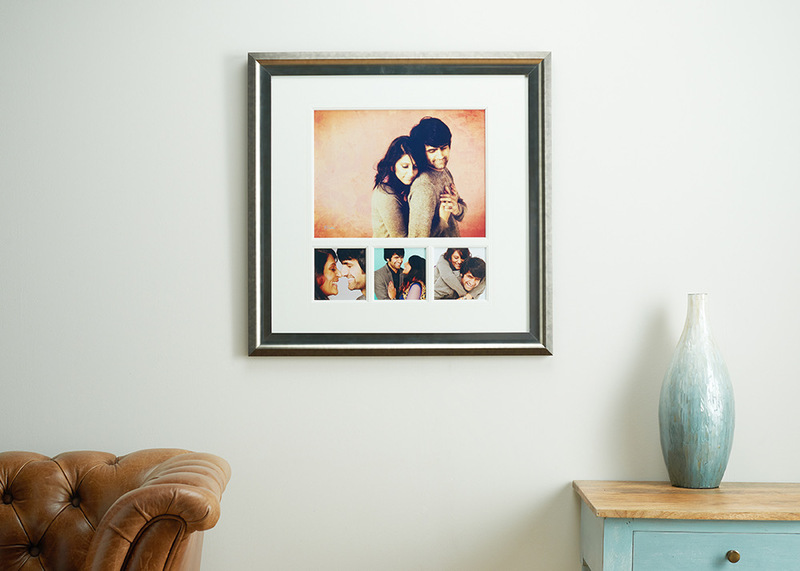 How about framing a collection of your favourite photographs in one beautiful moulding? The portfolio range is a collection of products that offer an alternative to wall or desk portraits. 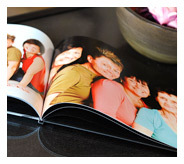 The Portfolio albums are a brilliant option to showcase your images and provide a beautiful keepsake. All our album storybooks are uniquely designed for each client with images printed directly to the pages and bound in a bespoke hardback cover. Our portfolio USBs are an amazing product that is limited only by your imagination. 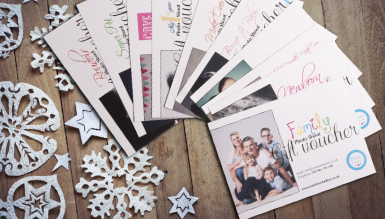 They each contain digital image files in full print resolution and include copyright release allowing you to print, view, share, upload and show off your images as often as you like. Unlike many other studios, you are not limited by how big you can enlarge your images, so if you want several enlargements for your home, or you have many family members you'd like to give photographs to, or even if there's just too many photographs you love, the portfolio discs offer an economical alternative to frames and prints and provide a whole world of options for your photographs. Our wooden engraved presentation boxes mean that you come away with a unique keepsake, they even come with 5 small prints so you can see what quality to expect when you come to print.